Our driver and tourguide meet your guide at your hotel after breakfast, transfer to Bentre (about 2 hours). You will get on horse carriage ride along the villages of Mekong Delta, where tourism is not heavily touched, after that, you will enjoy some boat trip along the Delta’s canals, visit orchards and sample some tropical fruits, visit historic temples and pagodas of the area. Visit a family-run enterprise making coconut candy. 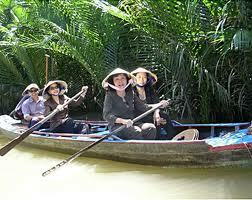 Upon to your request, we can visit some markets in Ben Tre city to know more about the local’s life. Transfer back to Ho Chi Minh City.